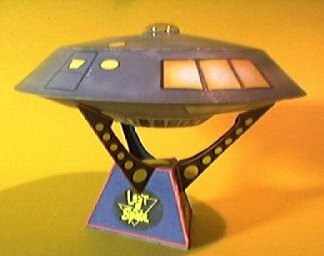 A custom made paper craft of the famous Jupiter-2 from lost in Space. 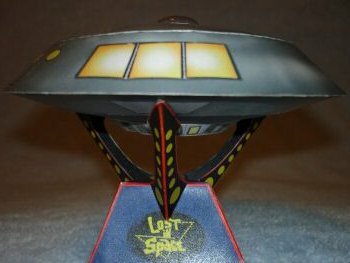 The model is constructed from quality grade card stock paper. 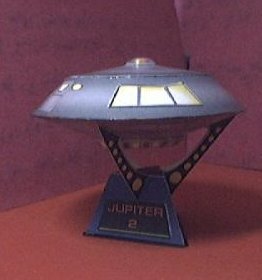 Jupiter measures about 4" inches in diameter, comes with custom stand, and also shown is a Gemini-12 model ( that was the first version that was used in the pilot episode before it was called Jupiter-2. There is a semi gloss finish on to protect it. 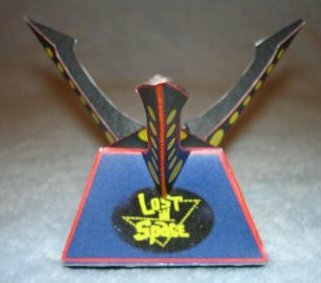 A nice piece for any LIS fan. 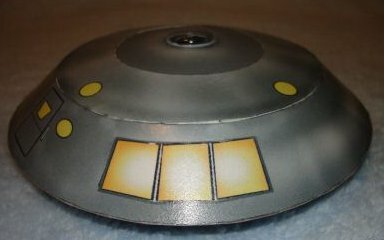 Created and built by Michael Botelho of Toronto Canada.